HarperBurnham & Associates provides Accessible PDF Creation Services from Microsoft Office Suite, Adobe InDesign and Adobe FrameMaker. Documents are developed to WCAG 2.0 and PDF UA standards. 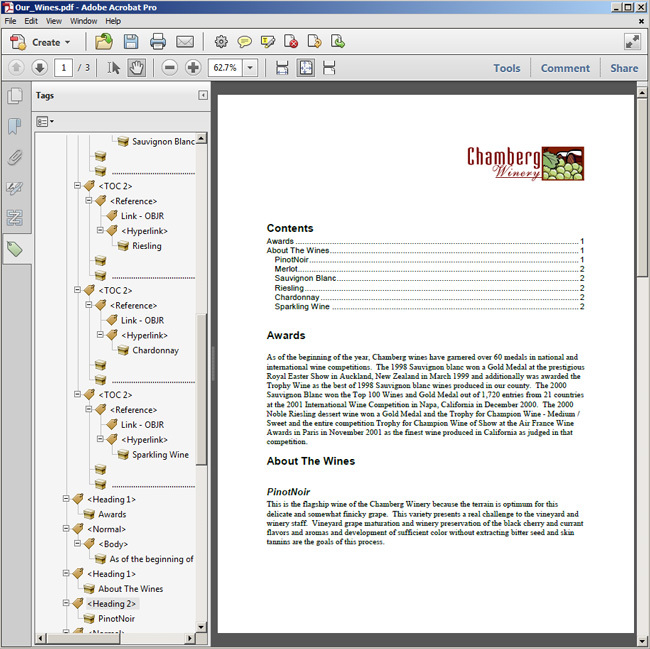 PDF Tags allow Screen Readers and Assistive Devices to interpret page content.